What can you do with those left over pieces of balsa and wire??? I know, I’ll make a little cage and age it with crackle paint! I even got tiny cracks, which I don’t always get! 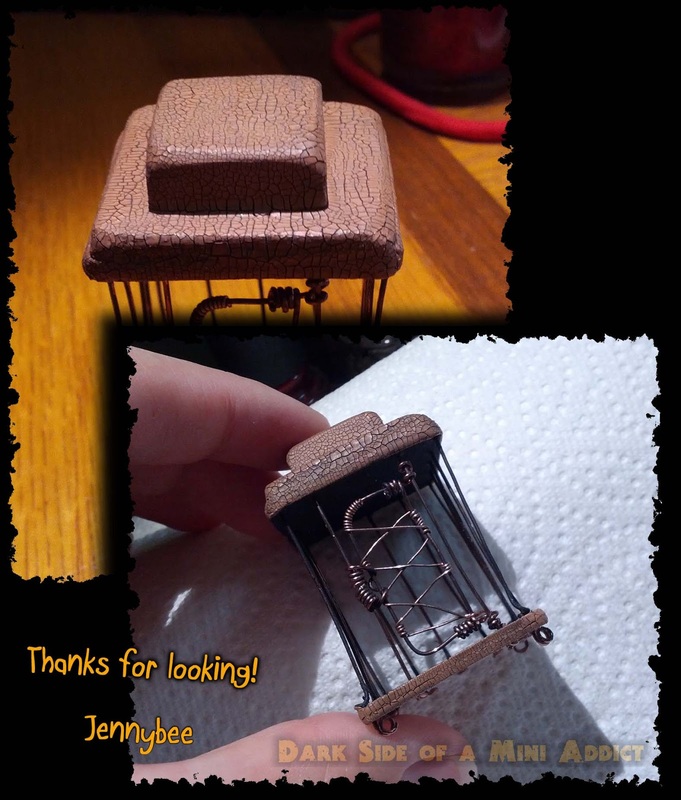 The inside of the cage ended up being about 2 inches tall and I made the bars removable from the bottom in case you wanted to put little things inside of it or wanted to change them out from time to time. After the crackle paint dried I rubbed dark paint in the cracks to give them more detail. Have any of you ever done an entire wall or room in crackle paint? I was just thinking how that would look and thought it would be cool. Hmm maybe another project… That’s it for now, and thanks for reading my blog. Thanks Jennifer, it is a very good feeling and a great use for the scraps I have as well!